Of all known home remedies for head lice, neem oil is the most effective. The oil or mayo suffocates the head lice. So does your conditioner. Anything that totally smothers all your hair and scalp and prevents the little pests from breathing will eventually kill them. But then of course you have all the eggs left, and they will hatch over the next days. And you have lice left in clothing and bedding, combs, brushes or hair clips. I am not a doctor or veterinarian. I have no training in medicine. (I am a biochemist.) I do not give medical advice. I share research information that is publicly available as well as my own experiences, thoughts, and those of my readers. Products and information mentioned on my site have not been evaluated by the FDA and are not meant to diagnose, cure, mitigate or prevent any disease. If you have a health condition see your physician. Reinfestation is possible and common. To totally eradicate a head lice infestation, and to do it without using nasty insecticides, is quite a task. But luckily neem oil makes that job much easier, because it goes much further than the usual home remedies for head lice. Two research studies show that you may not even need to use the smelly, messy, pure neem oil. 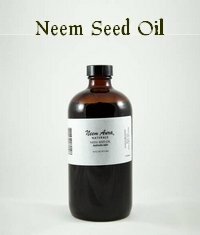 Neem seed shampoo can be a highly effective home remedy for head lice. 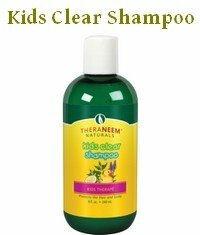 The neem shampoo was shown to be effective against all stages of head lice. And the traces of neem smell left behind in the hair will prevent a possible reinfestation. This is a messy operation, but if you are dealing with a serious infestation you may still want to use pure neem oil (not neem shampoo) as the first step in your battle plan. Smother all hair with the neem oil mixture (beware, it smells really bad) and make sure it also covers the scalp. 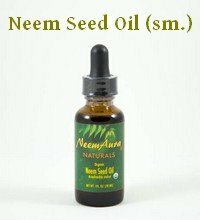 By the way, the neem oil not only kills the head lice, it also helps against dry itchy scalp, brittle hair, dandruff, some types of hair loss, and it generally promotes thick, healthy, shiny hair. In other words, neem oil is magical stuff for hair in general. It's just a shame it smells so bad. Cover the head with a shower cap or simple plastic bag, and wrap an old towel around that. This is mainly to contain the smelly mess. Leave it on for as long as you can bear it, but at least for an hour. If you want to leave it over night make sure you cover your pillow with an old towel as well. Then wash the oil out and detangle your wet hair. Washing out the oil is quite the task and will take a lot of shampoo. Now you should comb your hair with a nit comb. (A special comb that's fine enough to strip out the nits, i.e. head lice eggs, that are left in the hair.) Tip: have a cup of boiling hot water to dip the comb into regularly. The heat helps dissolve the glue that the lice use to attach the eggs to the hair. Over the next week wash your hair with neem shampoo at least every second day, and repeat the combing. If you have pure neem oil you can easily make neem shampoo yourself. Be aware that you need to make it freshly every day. Most shampoos contain water, and the active ingredients in neem oil are not stable when mixed with water. By the way, if one person in a household is infested, the others soon will be, too. You need to check everybody in the house, whether they already show symptoms or not. You also need to wash all bedding and clothing (wash as hot as possible and dry on high). Same for combs, brushes, hair clips or ties... Soak them in very hot, soapy water. Or even better, throw them out and get new ones. Items that can't be washed (head hones, plush toys) can be sealed in a plastic bag for two weeks. That makes sure that any lice, even those that hatch from eggs while in the bag, are dead. On top of that you have to carefully vacuum all the carpets, floors, seat covers, absolutely everything in your house. And don't forget the car! This is a pretty full on program. It's so thorough, it would work even if you used just olive oil or mayo. But you'd need to do the messy smothering step every second day instead of the simple shampoo wash. How long are you willing to keep that up? and how much time do you have for the additional cleaning? Head lice can hide in so many places, and there are always the eggs, too. The old home remedies for head lice were not always effective in eradicating an infestation. They do work, but it takes so much discipline to do it properly, it's easy to get lazy. However, if you use a good neem oil or neem oil shampoo, I'd be very surprised if you'd have any problems at all getting rid of the pests, even if your additional eradication measures aren't as thorough as they could be. 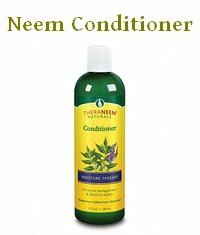 A good neem oil shampoo would be a much easier to use home remedy for headlice. The catch: for this to work you need the same shampoo that was used in the head lice home remedy trials, or one that is at least as effective, containing the same amount of active ingredients, ideally the same quality neem seed extract. 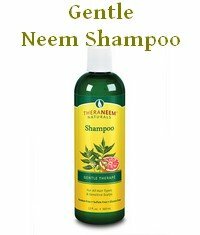 The shampoo I linked above is based on a neem leaf extract and has additional neem oil added to it. It's a good choice. But not every shampoo that is labeled as neem shampoo contains the same type or amount of active ingredients! Of course, you can always make your own neem shampoo or fortify any shampoo by adding additional neem oil. Using a good shampoo with enough neem in it you should be able to eradicate a head lice infestation by shampooing the hair, say, at least every second day, and leaving the shampoo in for at least 10 minutes. Keep that up for ten days and you should be fine. I still strongly recommend you also follow the nit combing and the big house cleaning and washing program. The sooner you totally get rid of the last head louse the better, isn't it? I also recommend that you continue to use a neem shampoo to prevent a re-infestation. A neem conditioner will help with this. You can find some excellent hair care products with neem on this page. All of them are recommended for use on head lice.